There is no other wood quite like Walnut. 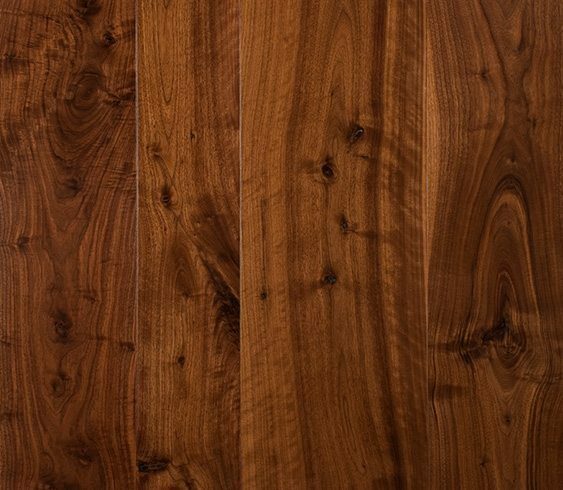 We know how important natural color is when it comes to Walnut. 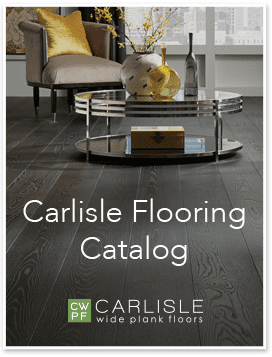 Whether you’re in search of the ultimate in chocolate hues or want to minimize the contrast of lighter-colored sapwood and darker heartwood, Carlisle’s wide plank Walnut will outperform all others. Magnificence begins with the nutritious, well-drained soils of specific regions of the Midwest, where only the most mature trees are harvested and then steamed to maximize the beauty of the natural tannins. The timber is air- and kiln-dried before our own milling process, where it is carefully evaluated by our craftsmen to bring out the inherent beauty of every plank. The result is exquisite Walnut flooring that is naturally reminiscent of mocha, suitable for any design – a rustic country kitchen, a high-rise city loft, an elegantly formal sitting room and everything in between. Be inspired by our projects using Walnut.